I’m thinking if I use a slightly larger circle for the top than for the bottom, I can fit more filling in. Knew those nesting cookie cutters would come in handy someday! Why did I not find your site sooner?! You have the cutest and most delectable treats I’ve seen! I can’t wait to try this one out with my little cousins. They will absolutely LOVE it! Thank you so much for sharing your ideas and experiences! Saw these in a Bridal magazine but they didn’t show how to make them. Can’t wait to try them!! Thanks for the recipe and pictures! 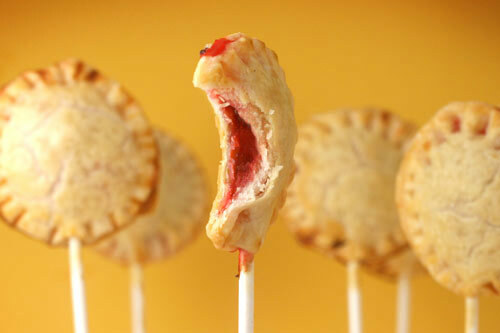 Wow, SERIOUSLY genius idea, I love the little hearts, remind me of the red Queen ad her jam tarts :P tart pops? lol pop tarts!! oh the hearts are way too cute! There are great! I have just started making the various pops… Does anyone have any ideas for how to serve these standing up? 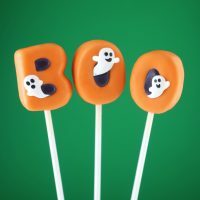 I want to make these for halloween, but pumpkin pie. should i just use the recipe on the back of libbys? or will it be to runny? OMG!! They are so cute ! Love them! Thanks for the recipe ! Sure i would try them out!! 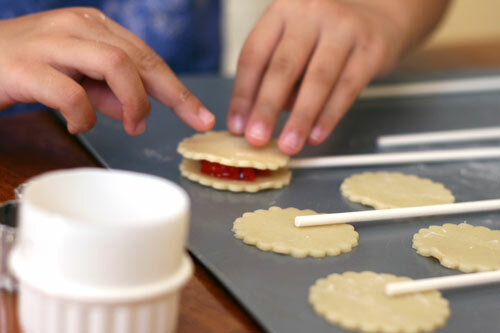 I have a little question… U can bake tose lollipop sticks? I just did these in heart & bear shapes for my sister’s baby shower and she was blown away! I made my own home-made pie filling the night before assembling the pops so when they all came together, it tasted just like Nannie’s home made apple pie! 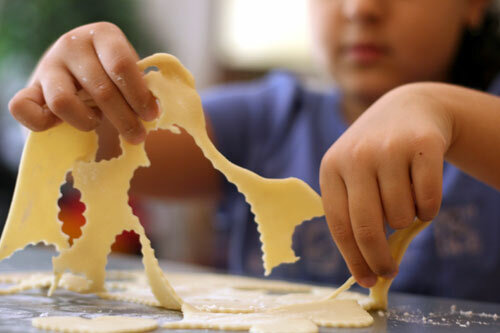 but can anyone help me in the pie dough plz? I just stumbled upon your site a couple of days ago and I am OBSESSED! I am ‘artsty-fartsy’ as my friends say, and LOVE to bake, so your clever ideas are right up my ally!! 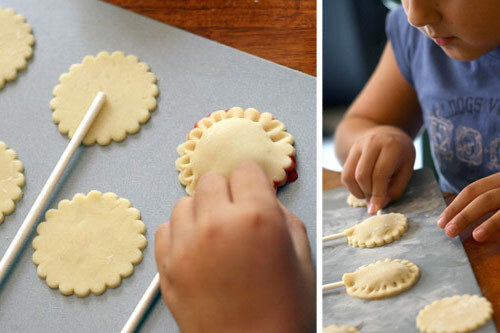 (Plan on making your Elmo cake pops next week for my daughter’s birthday) And have these adorable little pie pops baking in my oven this very second! Wanted to share an idea for identifying different pops with different flavors: I took markers and colored a coordinating color band of color for each different flavor. (orange for pumpkin pie, red for cherry, etc…) and it looks cute too! =) Thanks again for all of your creative ideas! Keep them coming!! these are so cute! 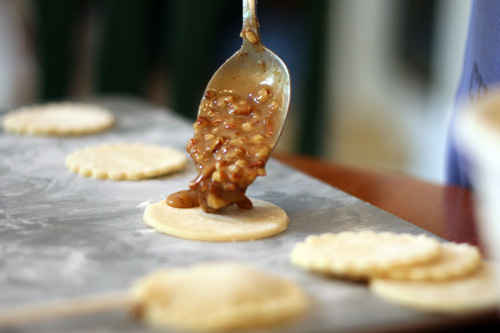 i tried to replicate them last night (i made pecan pie pops), but unfortunately they aren’t as adorable – the filling leaked out everywhere! I just used store bought pie dough and canned pie filling. This year I might use the suggestion of placing a Hershey’s kiss in the middle. This is the sweetest thing I have ever seen. I am not much of a baker but feel so inspired to go home and try this. Hope it works out for me. Those look super cute! 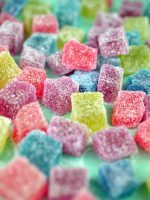 I’ve got to try them! They look super easy! P.S. I love the site and book. You by far have the most creative ideas out there! I LOVE your site!! Thanks for all of the great ideas! These are so cute! 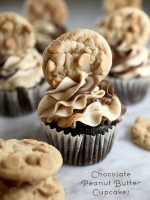 I need to make these one day. Awesome! My school is having a pi day I am going to bring these! lol! 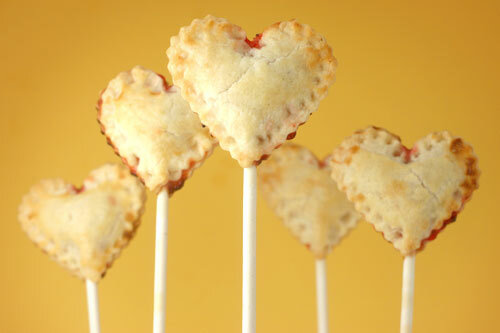 Loved the idea of pie pops I just posted a link on my blog I hope you don’t mind. Soooooo…. Cute…..
You are right more filling!!! I was thinking if you iced one side and added sprinkles, they’d be like mini pop-tarts on a stick. 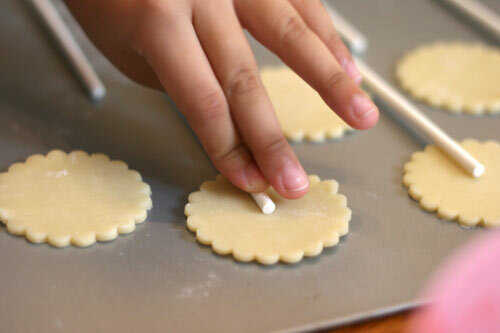 I suggest to have more filling in the pie pops you should make the top crust a size bigger so you have room for extra filling …. omg i love love loVE LOVE <3 PIE!!!! AND I LOVE CAKE POPS THIS IS LIKE HEAVEN!! Think I will try a savory duo like ham and cheese and a pepperoni and marinara. For lunch or snack time at home. I will be making them for sure. Thanks for the idea will try the sweet ones too. Thank you so much. I want to make these for my friend’s birthday, but her favorite pie is lemon. 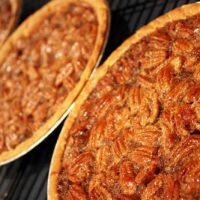 How could I make a filling that would be thick enough for the pie pop? I love this idea. 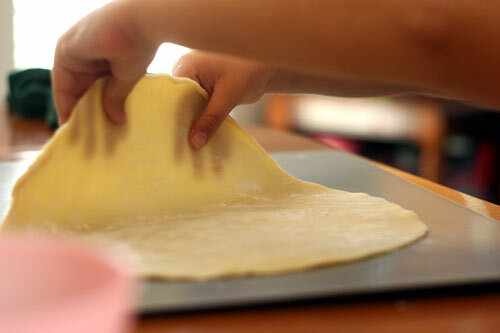 I wonder if you could use filo dough? THIS IS SO HACKIN’ AWESOME!!! I saw these done on a food show the other night. 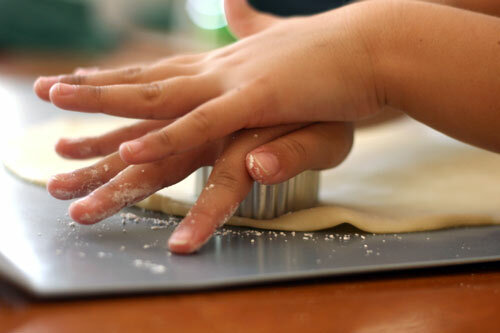 After brushing with egg wash the instructor sprinkled the dough with sugar. The filling they used was cream cheese and pumpkin pie spices. I made my first attempt this evening. Glad I tried them out first before jumping in to serve them somewhere. I had a hard time getting the dough to stick together and I found the Pillsbury pie dough a little on the bland side it could have used something to make it sweeter. My kids loved them and had no complaints! Will try again and hope I do better. Might try with chocolate pie next time. Thanks for the idea. Love this idea! I am going to to bake a bunch of these for a thanksgiving get together this week! Such a wonderful size for the children. 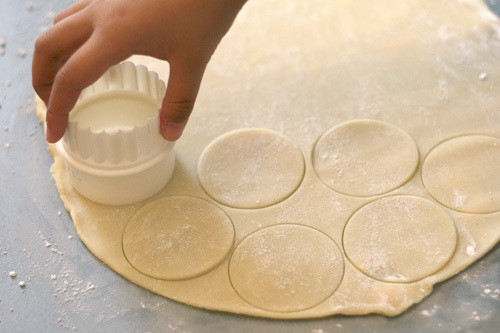 I have been making these recently…and I may have “solved” the crust/filling ratio issue…I use graduated round cutters…using a slightly smaller one for the “bottom” and the next larger one for the “top.” This way you can put a little bit more filling inside and still have them match up when you go to seal them. I made these and they were such a big hit. Thanks for the idea and the great tutorial. HI! I´m from Argentina, I really love your job.I love cook and specially make cakes. I have a question for you, what do you do with the lollipops sticks, when you put them in the oven? because I think they are plastic lollipops sticks. If you can, tell me how to do. Thanks and congratulation, your Job is fantastic! 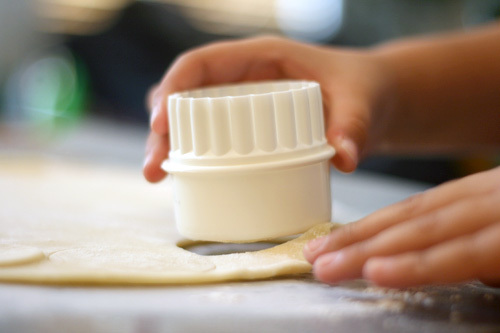 What if you made the pie crusts- sealed them and left a small opening on the bottom and used a pastry bag with filling to get more filling inside then inserted the stick and sealed the bottom? Sorry if this was already posted! Hi! Thanks for sharing this beauty pop pie recipe! I wondering if the stik keeps firm when is already cooked. (sorry if I have mistakes, I´m from México and sometimes English grammar is not for me, hahahaha) Thanks and have a very nice day!!!! May I pin this on Pinterest, with full credit to you of course? 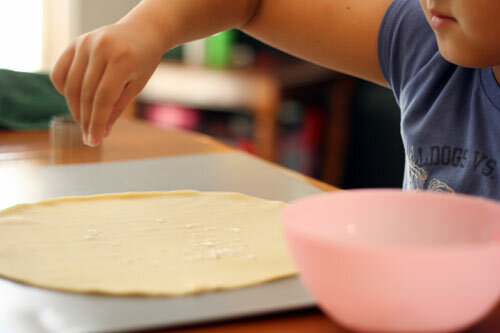 Hi, What is the mixture of dough. What is the ingredients?? 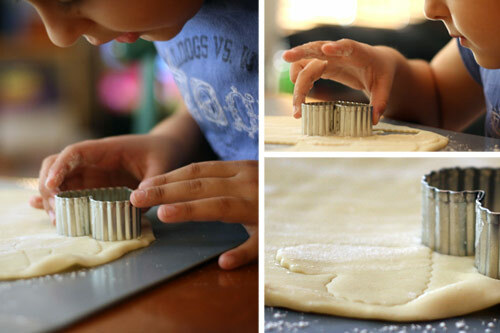 These are super cute….cannot wait to make these with my nieces! Love the idea for these. I know I’m a little late, wish I had’ve discovered these before but none the less. Thank you!!!! 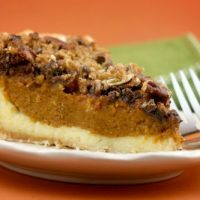 Can you do this with other types of pie fillings? Like apple? Apple is my favorite. i am soooooo gonna try this tomorrow hopefully!!!!!!!!!!!!!!! i love it! First I’d. Like to thank you for teaching me how to make cake pops. Without you my store might not exist. I do more than cake pops. I do cute monster everything. Hats, truffles, gloves, ornaments, etc. 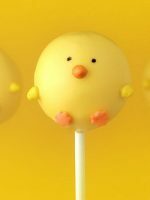 The cake pops came first. 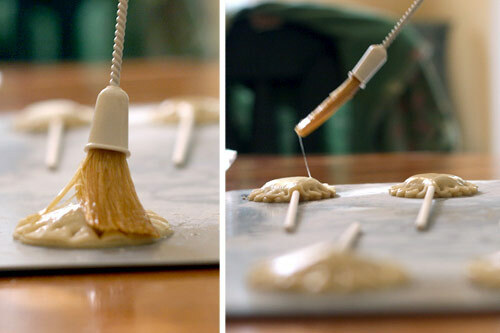 :) Now you give me the perfect pie pop recipe. Which I had been looking for a good one for an event I’m catering. So thank you very much. Just made these. They’re amazing! i am definantly making these. perfect for our ucoming family picnic.poppy pie. pop pie. pie pop. popity pop pie.this doesnt look to hard. i love pie and where did you get your cookie cutter? Made these for my boyfriend on a special occasion.. I made my own dough and used nuttela filling instead of fruits. They turned out super cute and yummy! 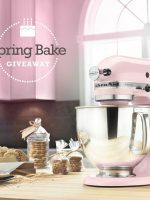 Thanks, bakerella! 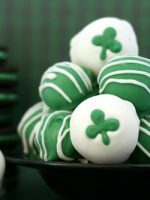 I can not wait to make these!!! Do the lollipop sticks not burn in the oven or do you have to use a certain kind? 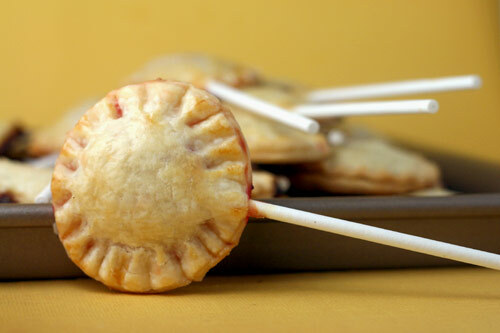 I’ve made a variety of these pie pops and they always turn out great! My only issue is that once I package the pops (in cellophane bags) they turn soggy. Did you have this issue? If so, do you know how to fix it? 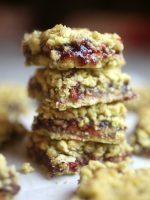 I just made these bad boys (with huckleberries), and to get my homemade pie crust ultra thin I put it through a pasta machine. Super easy, consistent results :) Do it! This looks fantastic! Can’t wait to try it!!! I think I would sprinkle or drizzle a little powder sugar or some icying over them. Could you freeze them once baked? Or do you think it would be better to freeze them unbaked and then bake right before using? They look devine!!! What type of dough did you use though? Do you have a receipe? I made these for a Fourth of July picnic at the Eiffel Tower! So easy and cute! Everyone LOVED them! Thank you SO MUCH for the recipe! You’ve made one of our favorites finally seem simple! Mmmm, breakfast! I had featured u in the post of Top 7 Wonderful & Delicious Pie Recipes on AllFreshRecipes. I‘ll pay attention to ur updating recipes! I would like to get the recipe of this mass, if possible? 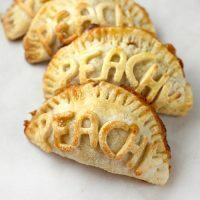 My name is Mary Ellen, I am Brazilian, and would like to get the recipe of this folder peach pies, if possible. It looks easy,maybe i should try it. Thank you for sharing. Hope you won’t mind i recommend you one baking tool,the silicone brush. 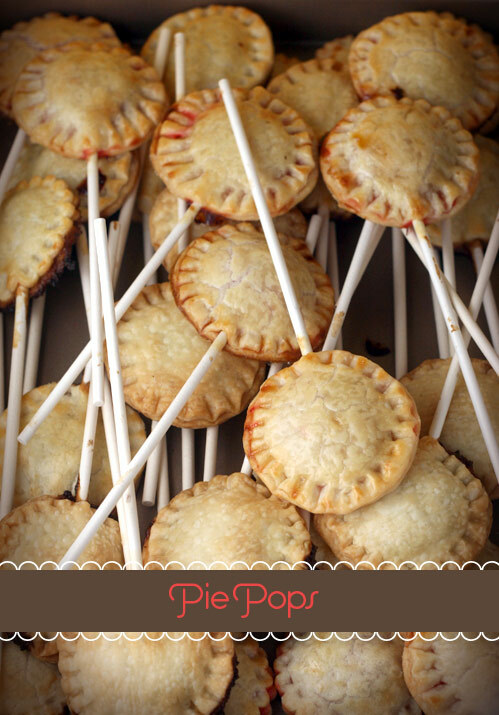 Hi – i’ve been making pie pops/mini pies forever – my family and friends love them for get togethers. Here is my question – My crust is great the day I make them but its gets to softer after a day or two is there anything you can do to prevent this? 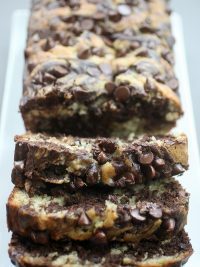 I would love to make these a day or two in advance without getting a softened crust. Yikes! I cooked them for the right amount of time and they were very golden brown but when I bit into it the next day it was very doughy and tasteless! None of my friends or family liked them and they were soggy and gross. Make sure you bake these until they’re VERY crispy before taking them out of the oven. They look delicious! How long will they keep fresh? And how is the best way to store them??? How the stick does not burn in the oven? Is the lollipop stick doesn’t melt if u put it on d oven? We are going to make these using a Mickey Mouse head cookie cutter for my granddaughter’s 1st birthday. Thanks, thanks, thanks so much for this idea! Love it! 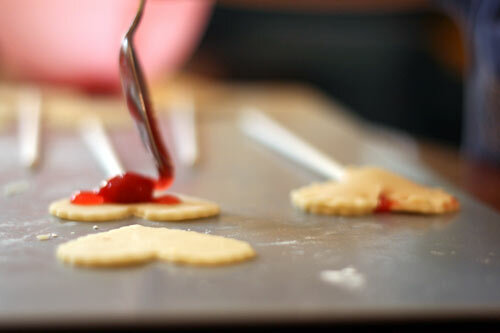 What cookie cutter size did you use? I used a 3 1/4″ one and the popsicle sticks didn’t hold. Any suggestions? Thanks! I love them and really want to make it work! I just made a savoury version using ham and cheese and my christmas cookie cutters. Won’t the lollypop stick melt in the oven?